The vessels are crucial for our expanding Arctic oil production, says Gazprom Neft. 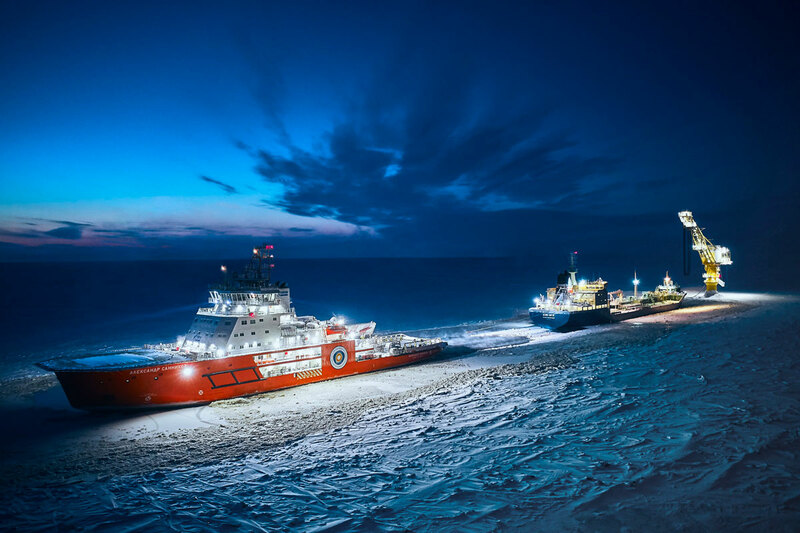 New-generation icebreakers «Andrey Vilkitsky» and «Aleksandr Sannikov» are now ploughing through the ice of the Arctic bay assisting the oil tankers that shuttle to the Arctic Gate terminal. The «Aleksandr Sannikov» was delivered by the Vyborg yard in St.Petersburg in June 2018 and sister ship «Andrey Vilkitsky» followed in December the same year. Both ships are now in operation in their dedicated areas in the Gulf of Ob, Gazprom Neft informs. The 121 meter long vessels are able to break through two meter thick ice. They open the waters for the tankers shuttling to and from the company’s Arctic Gate oil terminal in the Gulf of Ob. 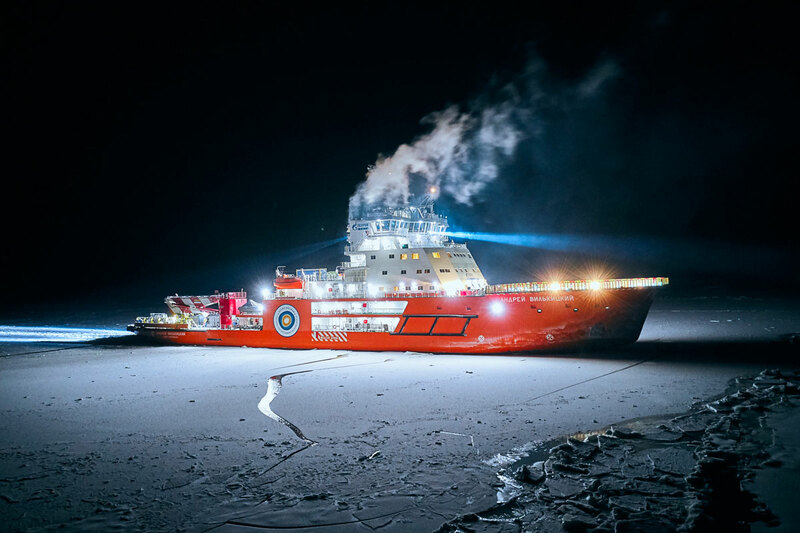 The ships are designed by Finnish company Aker Arctic and are considered among the technologically most advance diesel-engined icebreakers in the country. They have state of the art systems for manoeuvring, fuel efficiency and radio navigation. The presence in the area of our own icebreakers is a guarantee for the un-interrupted and efficient functioning of Arctic oil transports, and this opens new perspectives for the future development of fields in the region,» says Deputy General Director Vadim Yakovlev. The Arctic Gate terminal is located in the Gulf of Ob, near Cape Kamenny. The first oil was shipped out from the terminal in 2014, and winter out-shipments started in 2015. It was launched as part of the Novy Port oil field development. Gazprom Neft intends to ship out up to eight million tons of oil per year from the installation. A fleet of six top-class Arctic tankers are built for the project. The first vessels of the new fleet, the «Shturman Albanov» and the «Shturman Malygin» were put on the water in early 2016. 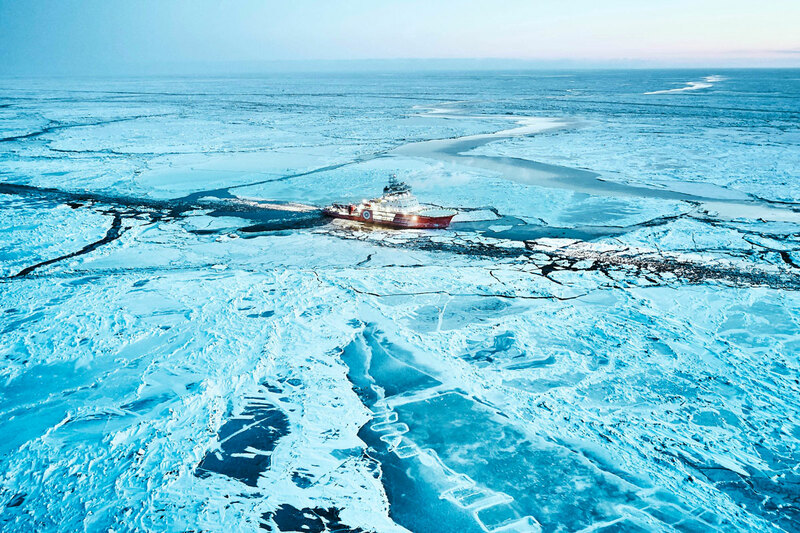 The third fleet tanker, the “Shturman Ovtsyn” set course for the history books when it in mid-winter 2017 left the yard of the Samsung Heavy Industries in South Korea, made it through the Bering Strait and sailed all the way to Yamal. Later, also the «Shturman Shcherbinin» and the «Shturman Koshelev» were built. The oil is shipped to Murmansk where it is reloaded to terminal tanker “Umba” and subsequently taken further to Rotterdam.